Hey all! I hope everyone had a wonderful Thanksgiving! We are happily posted up at my in-laws recovering from eating too much and planning for the big football weekend ahead. I'm staying up until Midnight to ensure that everything goes smoothly behind the scenes of the Willow Crowns Black Friday sale, so I thought I might as well do a little Black Friday planning to kill time and keep me awake. I'm going to go ahead and say that I normally only shop for things I need on Black Friday/Cyber Monday. 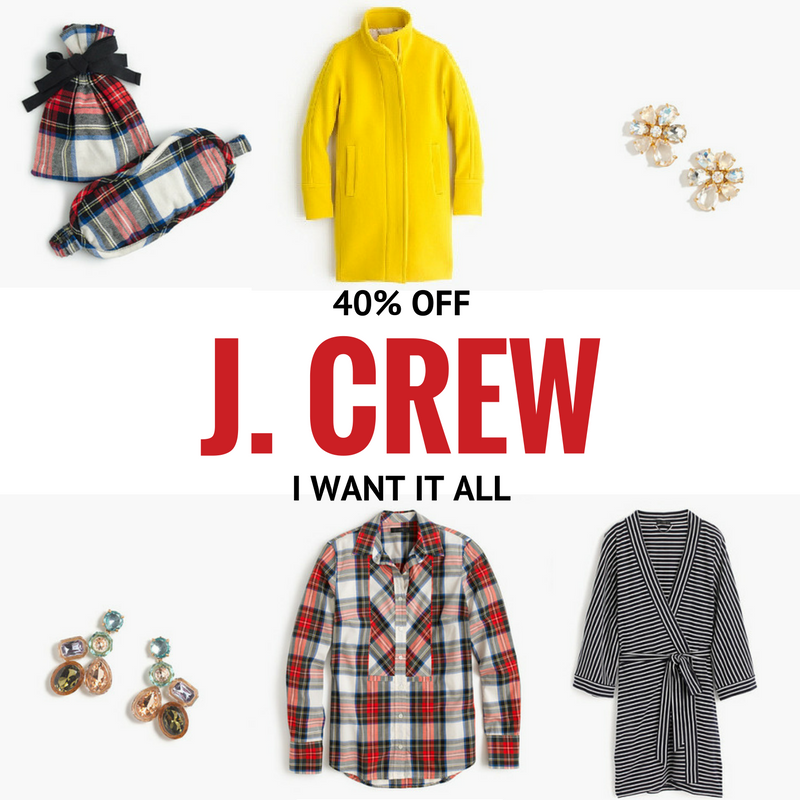 This year might be a bit different, only because J.Crew has come down off of their high horse and is offering a great sale of 40% off their entire store. I have my eye on a few gifts (I think I have Megan covered!) 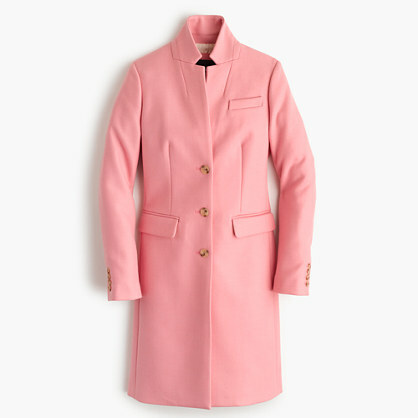 and a coat for myself - but there are also pieces that I have my eye on that are just for fun. Oops, sorry budget. This coat (in this shade of blush only) is an insane price at less than $175 (originally $350) and this scarf is going to be on constant rotation this winter. 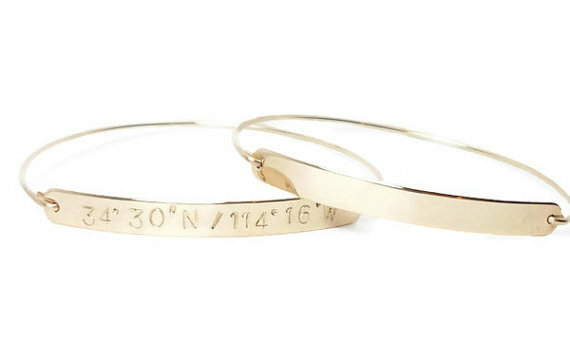 For those of you who love my gold engraved bangles and necklaces, the shop that every single one comes from is having a 20% off site wide sale starting at midnight Black Friday and lasting through Cyber Monday. 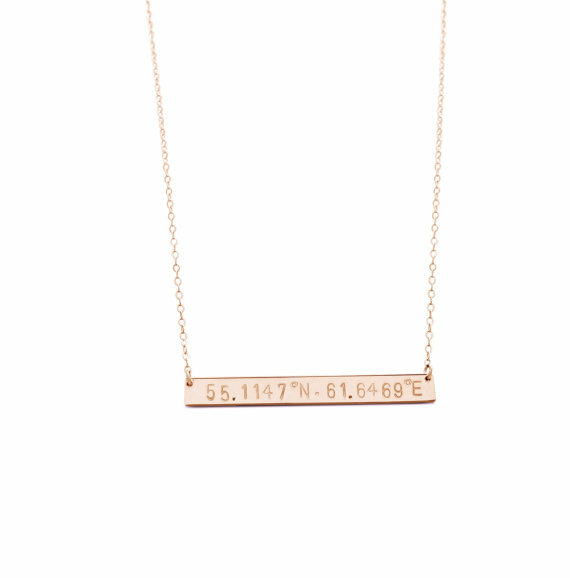 The coordinates and roman numerals make amazing gifts (my mom has a rose gold bangle with Gray's birthday and is obsessed with it) and the price point is already amazing, pre-sale. I have yet to jump on the over the knee boot trend but I think Black Friday is a great time to do it. 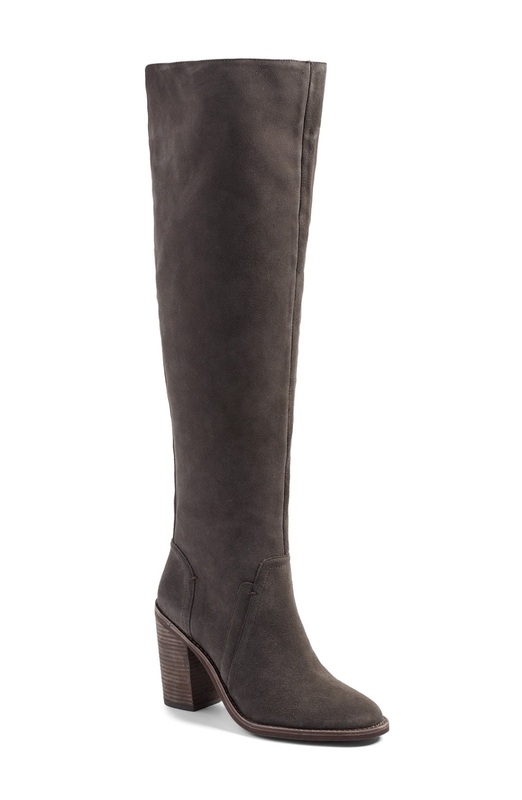 I'm loving this pair that is $143 (down from $240!) and an amazing shade of grey. I hope my calves will shimmy into them! 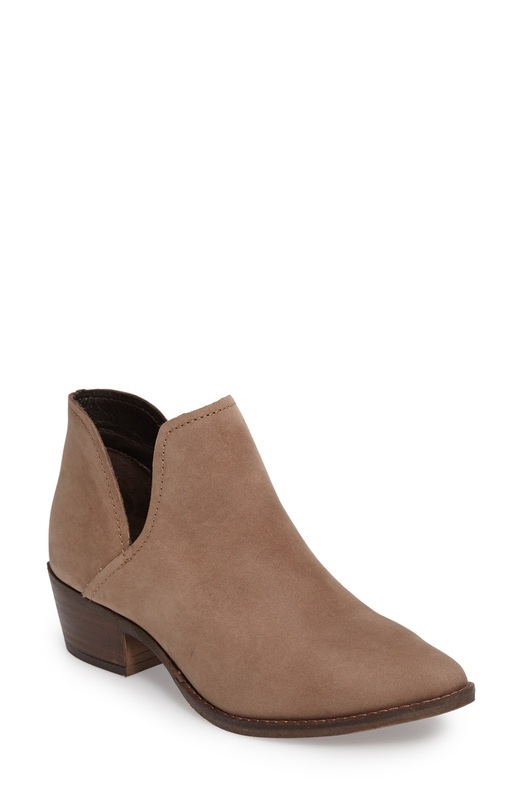 For those of you who missed out on this pair of booties during the Nordstrom sale, you're in luck because they are back and on sale for $50 off! I actually purchased this pair of booties a few months ago and am obsessed with them. I'm a little bummed to see they are now on sale for $50 seeing as I paid full price, but I'm trying to be a big girl about it. What am I missing?? Is there a massive clearance on dry shampoo somewhere that I need to know about?! ?